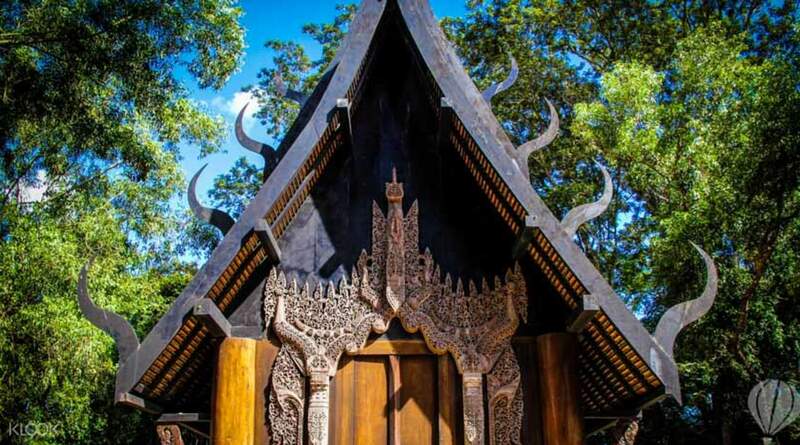 Be captivated by the incredible sights of Chiang Rai in this day exploration. 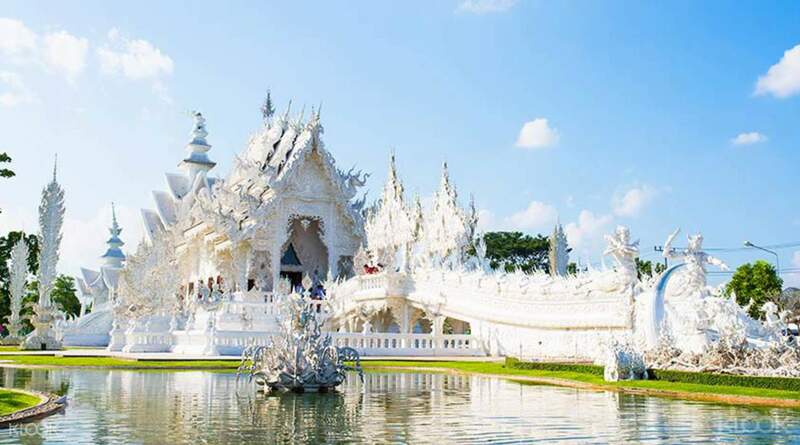 Start your day with a relaxing immersion at the Mae Khajan Hot Spring, then head to Wat Rong Khun, the spectacular White Temple known for its hauntingly beautiful blend of cultural and contemporary details. 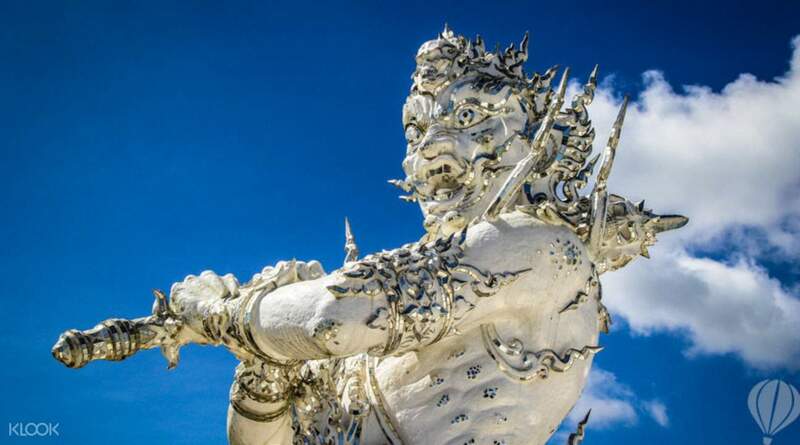 Designed by Thai National Artist Chalermchai Kositpipat, the temple features an entrance with outstretched hands, Predator jutting from the ground, as well as a number of other pop culture references within the dazzling white structure. Then head over to the Blue Temple, which is new and relatively undiscovered. 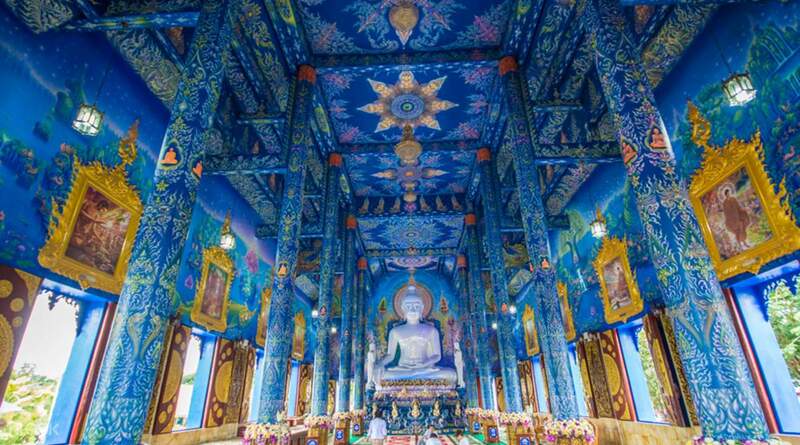 The lack of crowds is just an added bonus, though, as the temple boasts a beautiful vibrant blue color. Stop by for a hearty international buffet lunch at Wiang indra Riverside Resort, then head off to the Black House, a museum and also the home of the National Artist Dr. Thawan Duchanee. There you'll find a complex of dark and eerily designed buildings, filled with bones, skulls, fur and feathers, displayed and arranged as though an exhibit, but also as homely ornamentation. It's a fascinating immersion in the Thai north, one that captivates with its beauty, as well as its mystery. To end your tour, you can choose to take a tour around the Union of Hill Tribe Villages and learn about Thailand's culture and traditions. Hotels located in Chiang Mai South (Hang Daog) will incur an additional charge of THB700-THB2,000 depends on the distance (please see the map below). Nice tour and nice places to visit. Although the Travel was quite long distance, the car was comfortable and driver was good skills in managing the tour. It’s worth to join when have a chance to go to Chiangmai yo make the stay be more fruitful. Nice tour and nice places to visit. Although the Travel was quite long distance, the car was comfortable and driver was good skills in managing the tour. It’s worth to join when have a chance to go to Chiangmai yo make the stay be more fruitful. I recommend this tour and I don't have any negative comments about it. The driver is the best lady driver I had.. lol! And Jib is very nice.. I have always dreamed of seeing in real the long neck tribe and I have accomplished it by booking on this tour.. I'm happy plus the black temple, oh in love it and the white temple, always been in my bucketlist The food buffet is good too.. hassle free with anything.. plus the free water.. I recommend this tour and I don't have any negative comments about it. The driver is the best lady driver I had.. lol! And Jib is very nice.. I have always dreamed of seeing in real the long neck tribe and I have accomplished it by booking on this tour.. I'm happy plus the black temple, oh in love it and the white temple, always been in my bucketlist The food buffet is good too.. hassle free with anything.. plus the free water..
the white temple is beautiful n awesome, definitely worth the visit. however the black house not my cup of tea. the long neck village was of interesting with those long neck ladies but generally nothing much of the village. the white temple is beautiful n awesome, definitely worth the visit. however the black house not my cup of tea. the long neck village was of interesting with those long neck ladies but generally nothing much of the village. We had a great journey with Klook. The tour guide was very enthusiasm. The driver drove carefully. I will introduce to my friends. Thanks for your good service! We had a great journey with Klook. The tour guide was very enthusiasm. The driver drove carefully. I will introduce to my friends. Thanks for your good service! White temple is worth to visit. Remember to visit the temple toilet as well. The toilet is covered with ‘gold’ colour which make a big contrast to the temple. Black house is kind of spooky that I don’t like. 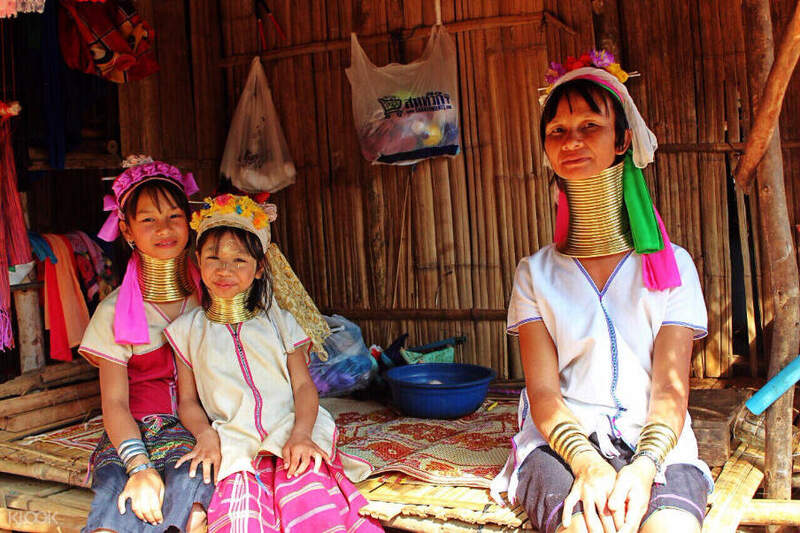 If possible, better join the side trip to visit the long neck karen village. Very interesting! White temple is worth to visit. Remember to visit the temple toilet as well. The toilet is covered with ‘gold’ colour which make a big contrast to the temple. Black house is kind of spooky that I don’t like. If possible, better join the side trip to visit the long neck karen village. Very interesting! The tour guide was very friendly and knowledgeable. The white temple is very nice. A must visit place in Chiang Rai. The tour guide was very friendly and knowledgeable. The white temple is very nice. A must visit place in Chiang Rai. The tour guide was really nice. The day was very long, but cool. you didn’t spend much time in each location and there was no structure once you go to each location which i didn’t like. the tour was good for transportation and lunch but not great for education. The tour guide was really nice. The day was very long, but cool. you didn’t spend much time in each location and there was no structure once you go to each location which i didn’t like. the tour was good for transportation and lunch but not great for education.